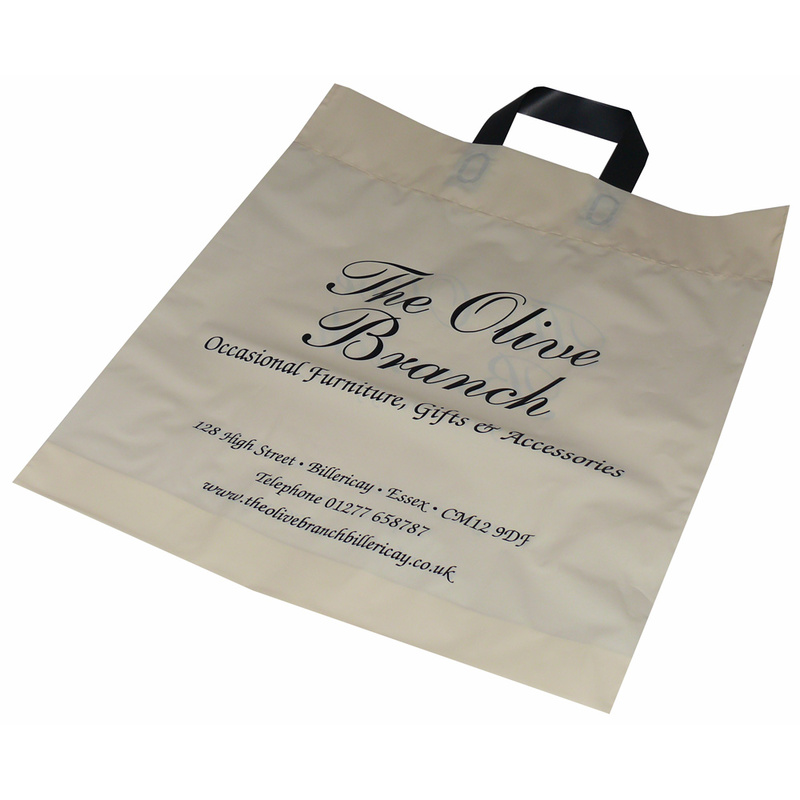 Turn over top flexiloop carrier bags are a great way to provide a strong durable carrier bag to your clients. The handle is double welded to two layers of polythene, which has been folded over and heat sealed. This give the handle join extra strength. This style of carrier bag are often used as "bags for life" as they are very durable and long lasting. Flexiloop bags can also be printed up to full colour with process CMYK quality prints. The style shown here is of an LDPE flexiloop bag with only a base gusset. This type of handle can also be applied to a polythene bag with a side and base gusset in LDPE or HDPE materials (Low density polythene / High density polythene). MOQs start at 5,000 for this style, however, the handle can also be applied to the vairgauge style carrier bag for which MOQs are as low as 1,000, but the printing is limited (no process and limited area). Our Company supply printed tot flexiloop or softloop. Our fine staff assist throughout, helping stores select unique tot flexiloop or softloop. To start designing your choose by material or different styles of , connect with Beckdale via our contact page.